In the second of PokerNewsReport´s two-part preview of the GPI American Poker Awards, we reveal our choice for the Lifetime Achievement Award. 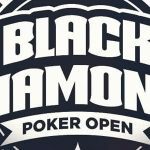 The American Poker Awards are just four weeks away and, if you were reading yesterday´s PokerNewsReport, you will recall that we put forward our suggestions in four of the categories that will be chosen by a panel of judges, and revealed Daniel Negreanu as our choice for “Poker´s Best Ambassador”. Today we are going to try to influence the panel of judges further by dealing with some of the more industry-related awards, and suggesting a somewhat surprising choice for who we believe should be presented with the “Lifetime Achievement Award” at the glittering ceremony in Beverley Hills on February 27. It is a pretty close call between the top men running the most popular live poker tours in the US, but our choice is Matt Savage – who has worked tirelessly throughout the year (again) to facilitate the smooth running of WPT events, not only throughout the US, but overseas as well. This week´s announcement that PokerNews has been ditched as live reporters for 2015 WSOP has probably blown their chances of winning this award; and inasmuch as we loved ALL IN´s exposé on Mark Newhouse and were hooked on Run it UP!, we believe that this category is a one-horse race. Brad Willis´ pieces on Vanessa Pacella and Nicole Rowe – two friends attending the WSOP Main Event for the first time – are incredible inasmuch as they touch on two lives which have been decimated by cancer. Without being condescending or over-emotional, Willis tells their story in two powerful pieces of poker media content – “Stages” and “Never Stop Fighting”. Any charitable initiative that makes the lives of those less fortunate than us more bearable is worthy of an award and – because we have to select one – our pick for this award goes to Matt Stout´s Charity Series of Poker. 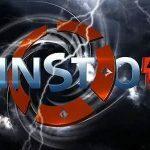 Stout has managed to round up stars from inside and outside the poker world to compete in his charity events, raising much needed funds for good causes such as Habitat for Humanity International and the Community Food Bank of New Jersey. On the basis that poker on TV is hardly an original concept (although the format of Poker Night in America is engrossing), that Twitch could be more of a fad than an innovation, and that the WPT´s marketing initiatives are hardly worthy of an award, the WSOP Monster Stack event should win this award by default after attracting the largest ever non-Main Event field in the history of the WSOP. In this category it is important to remember that the panel of judges´ choice will be for the individual media person of the year rather than the company or website they are most closely associated with. 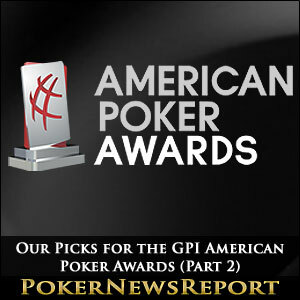 Each of the four nominees made a massive contribution to communicating poker news and views throughout 2014, but none more so than Chris Grove – who we hope to see rewarded for his efforts at the GPI American Poker Awards. Too many times lifetime achievement awards go to individuals who are reaching the end of their careers as a means of saying thank you for what they have achieved and for raising the profile of the industry. If the GPI´s panel of judges uses these criteria again, the likely winner of the Lifetime Achievement Award is Doyle Brunson. However, we would like to go outside of the box and select an organization rather than an individual for this prestigious award – an organization which (hopefully) will continue to serve the poker industry in America for many more years – the Poker Players Alliance. 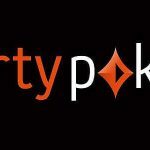 Under the Chairmanship of Alfonse D´Amato, board members such as John Pappas and Rich Muny have channeled the efforts of poker players throughout the US to fight against anti-online gambling legislation through their Daily Action Plans and have directly lobbied federal and state lawmakers to support both live and online poker in the US. Worthy winners in our opinion. We have given our opinions on who we believe should pick up the awards at the GPI´s ceremony, and members of the public can also get involved by voting for “Poker´s Best Ambassador” on the American Poker Awards website. 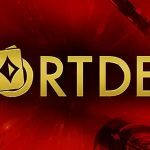 You are also invited to leave your opinions in the comments box below, and follow @PokerNewsReport on Twitter to find out how correct our picks were following the awards ceremony at the SLS Hotel in Beverley Hills on February 27.